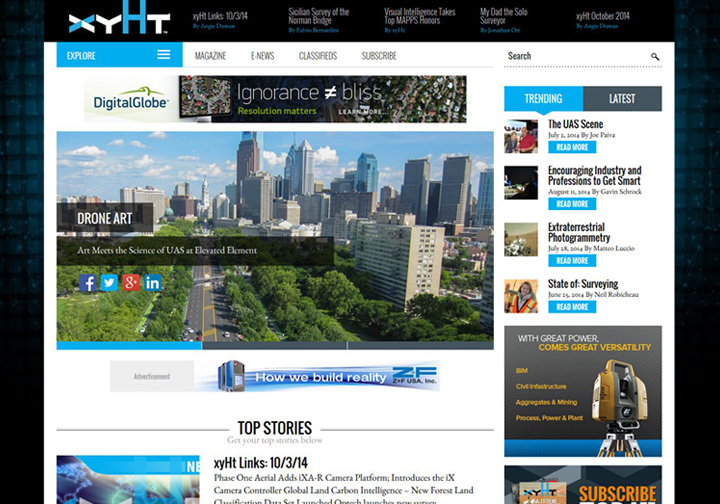 XYHT Magazine - Wood Street, Inc.
XYHT Magazine, an online resource for professionals in the fields of positioning and measurement, based in Frederick, MD, needed to kickoff their new name and look with a brand new interactive website. 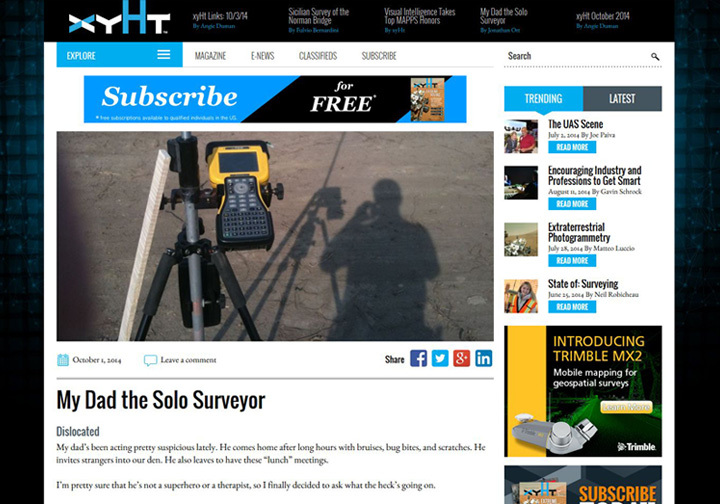 Formerly known as Professional Surveyor Magazine, XYHT wanted a new website to showcase the evolving wealth of resources they would now offer online. They needed an easy CMS with a user friendly ad system. 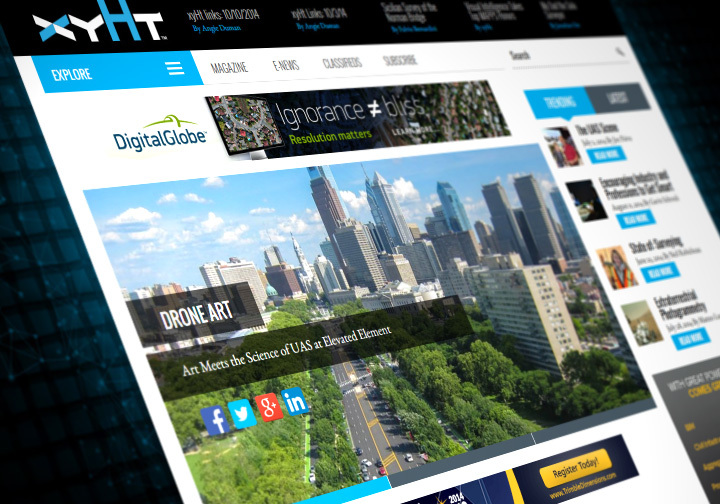 Working with the team at XYHT, Wood Street designed a completely new custom website theme built into the WordPress CMS. The design integrates with the new print materials developed by Frederick, MD designer Mike Pfister. 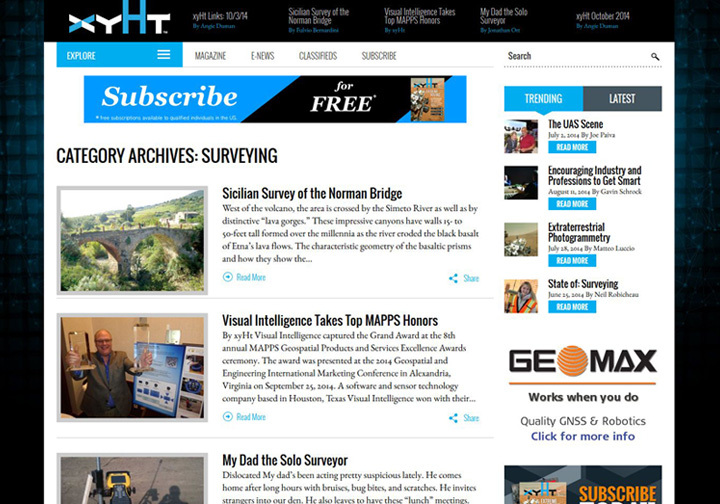 The site was also enhanced the website with Advanced Custom Fields for more control of content throughout. The site features the OIO Ad Module allowing XYHT to control the ad experience while maintaining a great user experience.